Powerful tool to monitor speed/heart rate real time on the horse back. 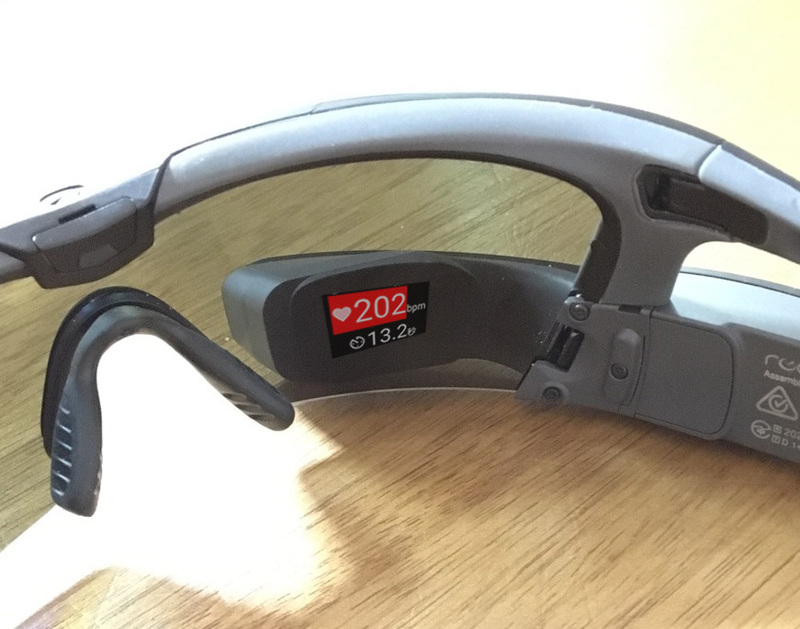 The Horsecall system provides an optional eyeglass type terminal capable of checking the speed and heart rate in real time . 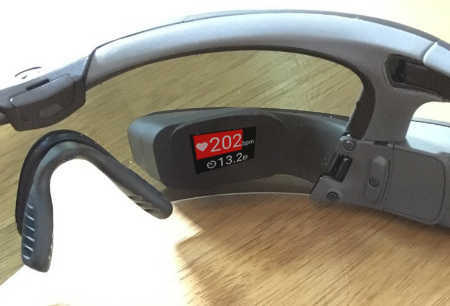 This terminal connects to the smartphone via Bluetooth and displays the Furlong time conversion speed and heart rate during training in the right eye display. Display mode can changed to speed only, heart rate only, or speed and heart rate at the same time. When the heart rate is displayed while training, the background color changes according to the heart rate range. This glass terminal can also be used as standalone condition without pairing to the smart phone. However, in this case, only speed will be displayed. The rider can grasp the speed and the heart rate during training in real time so that the rider can manage traveling pace even in the interval training program that changes the speed. Alternatively the glass terminal can be a powerful support tool for the inexperienced rider.